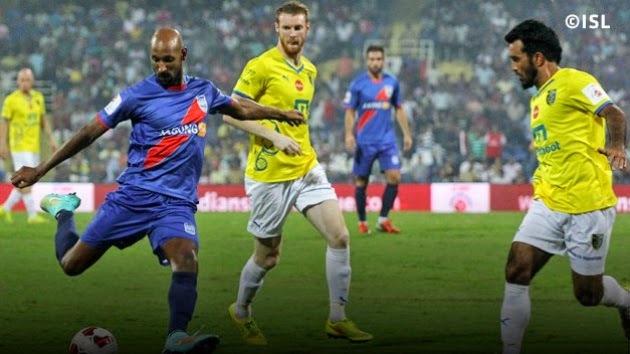 A moment of magic from Nicolas Anelka helped Mumbai City FC return to winning ways and consign Kerala Blasters FC to a 1-0 defeat at the DY Patil Stadium in Navi Mumbai tonight. The former French international curled in a superb free kick one minute before half-time that proved to be the matchwinner. The win helped the Peter Reid-coached hosts move up from the cellar to fifth spot with six points while Kerala dropped to sixth place with four points after suffering their third defeat in five games.